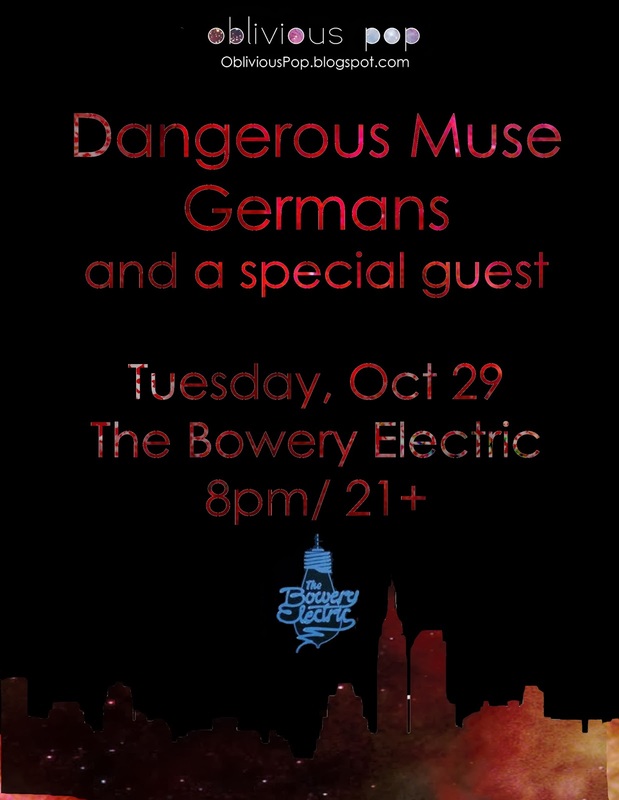 We are proud to have worked with Bowery Electric to bring you guys a great line-up on Tuesday, October 29. We have one of our favorite artists to watch Germans performing along side another up and coming band, Dangerous Muse. Both bands capture the essence of electronic music while creating their own unique styles. Tickets are $8 and can be bought at the door. Come out and help us celebrate this huge milestone for Oblivious Pop and jam out to some amazing music. We also will be having a surprise appearance by another upcoming artist. Mark your calendar and come out and party hard!